Amazon App is the iOS version of the Amazon website. It does not require the creation of another account; users are only required to sign in to their Amazon accounts to access products and their details, or to submit orders. Once logged into Amazon App, the user may type a keyword related to a given product, and the result will appear on the screen. If not, they can also shop by department. Here, users may compare prices, check reviews, and add products to their Carts. Information about every item is shown on the screen, including its price, manufacturer, and size. After selecting an item, Amazon App enables users to make purchases, even providing payment and shipping options. Like on Amazon's online site, orders, 1-Click settings, Wish lists, and general account settings can all be easily managed. Login, purchasing, and other actions are guaranteed to be performed securely, by routing all transactions through Amazon's highly-protected servers. It is available in English and Simplified Chinese. 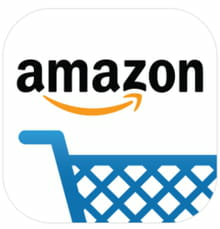 This app also supports all Amazon websites (Amazon.ca, Amazon.co.uk, Amazon.de, Amazon.fr, Amazon.com, Amazon.it, Amazon.es, Amazon.cn, Amazon.co.jp or Amazon.in). Latest update on March 24, 2016 at 11:29 PM.